The BBC has cancelled Ripper Street after two seasons on the air. The cast and crew were notified this week. The show airs on BBC America here in the states. 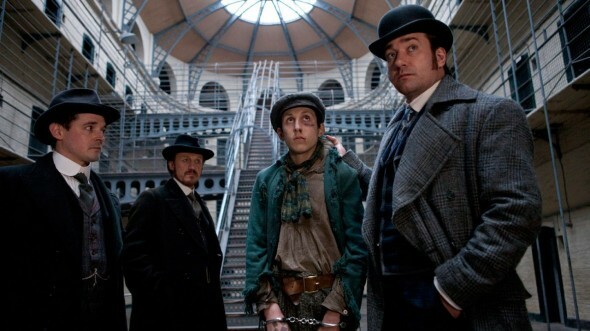 Ripper Street begins in Whitechapel in London’s East End, six months after the infamous Jack the Ripper murders. The men of H Division had searched for the killer but didn’t catch him. When more women are murdered, they wonder if the killer has returned. The show’s cast includes Matthew Macfadyen, Jerome Flynn, Adam Rothenberg, MyAnna Buring, Charlene McKenna, David Dawson, Amanda Hale, Damien Molony, Joseph Mawle, and Frank Harper. Season two of Ripper Street was expected to begin airing on BBC America on December 1st but it’s been delayed until 2014. What do you think? Are you sorry to hear that there won’t be a third season of Ripper Street? Are you hoping that the show is revived somehow? More about: Ripper Street, Ripper Street: canceled or renewed? Sad, why is it all the great shows get cancelled. It was a great show!!! Ripper street has been renewed for another season by BBC America. they started filming this month. It will also be streamed through Amazon.. Here is one of the links.